The evolution of ethical standards and the development of conceptual frameworks for examining ethical issues are two of the most compelling developments in the history of Clinical Social Work. Since the formal inauguration of Social Work in the late nineteenth century, the profession has moved from relatively simplistic and moralistic perspectives to conceptually rich analyses of ethical issues and ethical guidelines for clinical practice. This conference will examine the full spectrum of ethical issues, from basic to complex, that affect Clinical Social Workers. Dr Reamer will also address future ethical directions and challenges. Dr. Frederic Reamer has dedicated his career to reforming the ethics, practice, and education of the social work field through his work as a researcher, an author, and a professor. His extensive experience in ethics research has helped NASW and the social work profession as a whole over the years. Reamer chaired the task force wrote the current Code of Ethics implemented by NASW. Currently, he is the chair of the NASW Technology Standards Task Force and continues to serve on the Code of Ethics Revisions Task Force. Reamer is a professor in the graduate program at the Rhode Island College School of Social Work, where he has taught since 1983. Over the years, his research has focused on a variety of human service issues, ranging from mental health and criminal justice to public welfare and professional ethics. Reamer has been a featured essayist on NPR’s Morning Edition, a commentator on NPR’s All Things Considered, and a guest on a variety of radio broadcasts on stations across the country. Starting in 2007, Reamer began as the host and producer of This I Believe – Rhode Island on NPR and Rhode Island Public Radio. He was featured as a commentator in the documentaries “America’s Serial Killers: Portraits of Evil” and “Rampage: Killing without Reason”. Reamer has appeared as an expert on the PBS series This Emotional Life. He has distinguishing himself as an expert in the ethical use of technology within social work, and gave the keynote presentation “Managing Social Media and Electronic Communication in Social Work Practice: Ethical and Risk-management Issues” at the 2012 Association of Social Word Boards’ Education Conference, which introduced social work regulators to the ethical, practice and regulatory challenges posed by the quick rise of technology. Dr. Reamer has previously worked as the Director of the National Juvenile Justice Assessment Center at the US Department of Justice in the Office of Juvenile Justice and Delinquency Prevention from 1979 to 1981, as a Senior Policy Advisor to the Governor of Rhode Island from 1987 to 1990, and as a Commissioner of the Rhode Island Housing and Mortgage Finance Corporation from 1987 to 1995. He served on the Rhode Island Parole Board from 1992 to 2016. Reamer was the Editor in Chief of the Journal of Social Work Education from 1990 to 1994, Associate Editor of the NASW Encyclopedia of Social Work (20th Edition) and is currently an Associate Editor of the Encyclopedia of Social Work Online. He has lectured around the world on professional ethics, professional malpractice, and liability, including presenting at the 2014 NASW National Conference. Reamer has participated in research projects sponsored by groups many including The Hastings Center, the Carnegie Corporation, the Haas Foundation, and the Scattergood Program for the Applied Ethics of Behavioral Healthcare at the Center for Bioethics, University of Pennsylvania. 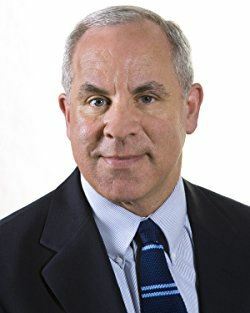 Dr. Reamer received his BA in Criminology from the University of Maryland in 1974, his AM in Social Sciences from the University of Chicago in 1975, and his PhD in Social Work from the University of Chicago in 1978. Breakfast and lunch are included with registration costs.